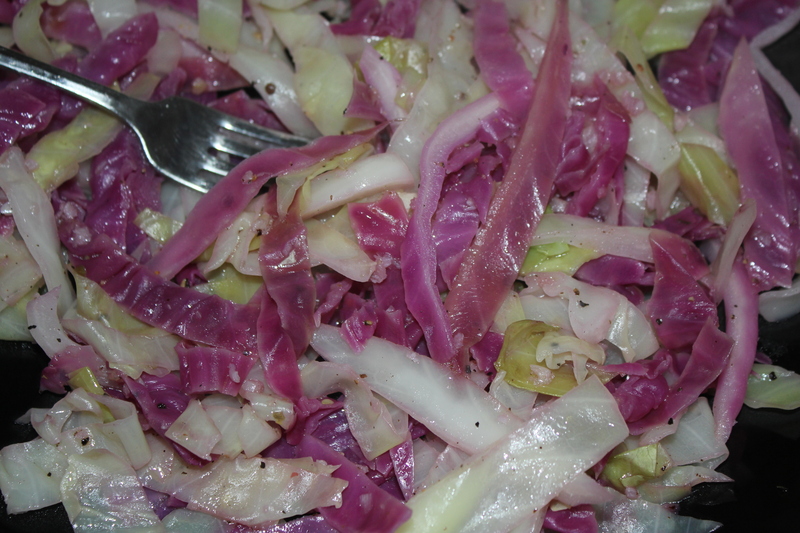 I’ve been making this simple and delicious sautéed cabbage for years, long before I met Brad. Brad hates cooked cabbage, but I bet he would change his mind if he would just give this a try. It has some crunch to it, plus the garlic and olive oil give it a wonderful flavor. 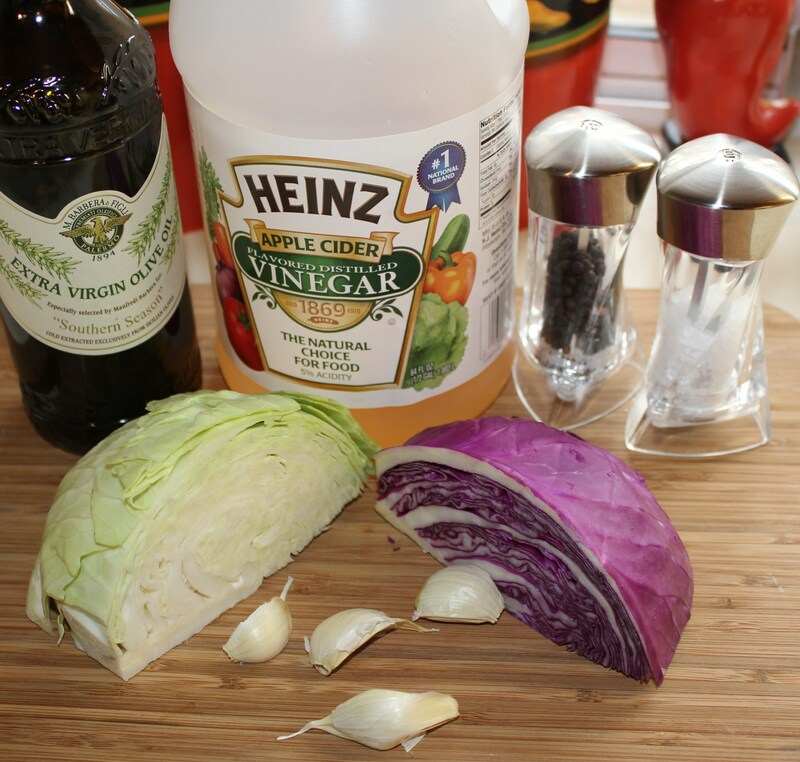 If you have any cabbage left over from your St. Patrick’s Day feast, instead of steaming or boiling it, try it this way — you’ll be glad you did! 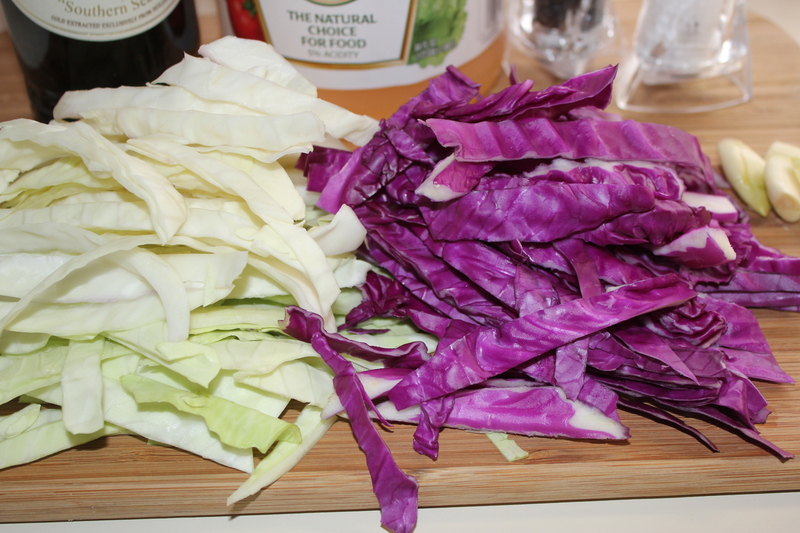 While bringing a large pot of water to a boil, slice the cabbage in lengthwise strips. 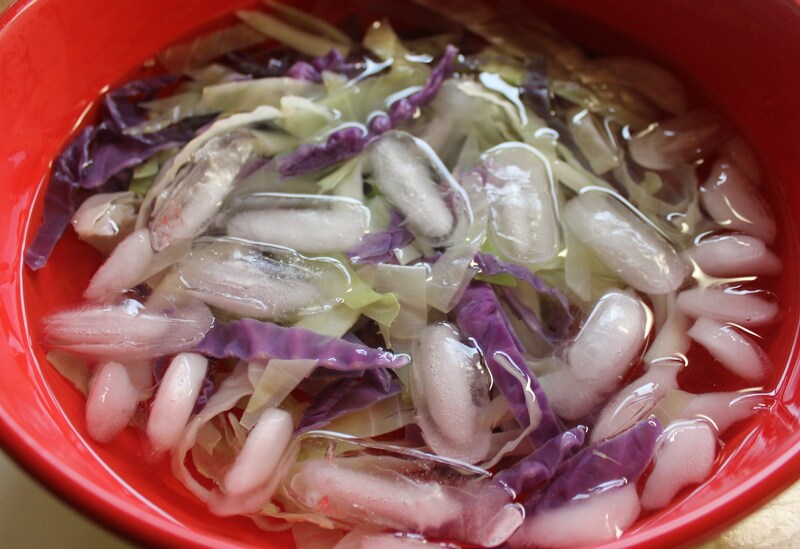 Blanch the cabbage for 2 minutes, drain and immediately transfer to an ice bath. Heat the oil in a large skillet. Drain the cabbage again, and pat off any excess water. Add it to the skillet along with the minced garlic. Add the vinegar and season with the salt and pepper. Cook for about 5 minutes, stirring constantly. This is a great side dish, or do like I sometimes do and just eat a big plate of it by itself – it is so good! 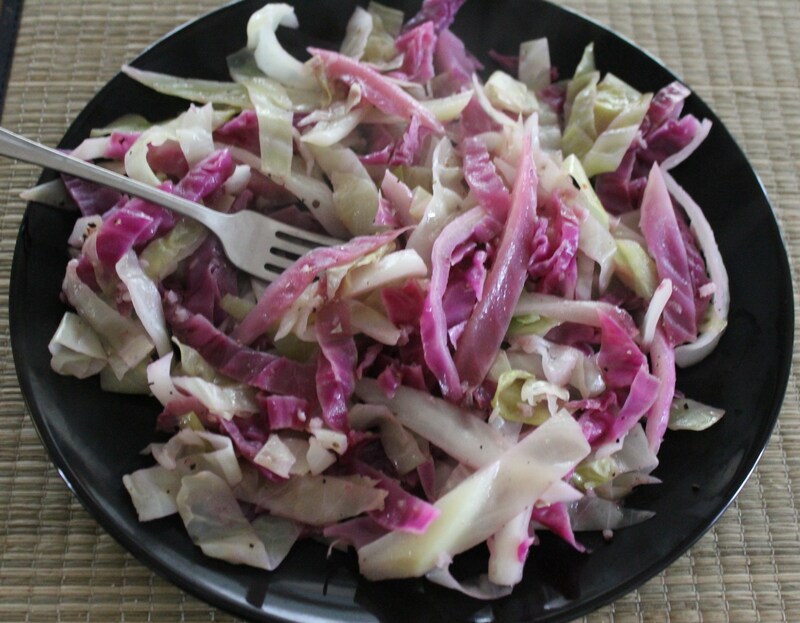 This entry was posted in Recipes, Vegetables/Vegetarian/Vegan and tagged Cabbage garlic sauteed extra virgin olive oil, eat drink and be merry, green cabbage recipes, kel's cafe of all things food, Kelley Chisholm recipes, red cabbage recipes, sauteed cabbage, vegetarian recipes. Bookmark the permalink.